To make Vanilla ice cream I have used an ice cream maker. Ice cream maker has a lid to which machine is attached. It has a paddle attachment which rotates while running. The lid with machine is fixed on a double layered bowl. There is freezing liquid between the two layers and it is sealed from spilling out. The design and manufacturing itself is like that. Place this ice cream maker bowl in a big plastic bag and cover completely. To avoid ice formation inside the bowl when kept in freezer, we need to cover it fully with plastic bag. Place this bag in freezer for 24 hours to freeze the inner liquid of the double layered bowl. If there is sufficient place in freezer, place this ice cream maker bowl covered in plastic bag in freezer so that the freezing time is saved and one can make ice cream as and when required. Take a wide mixing bowl and add milk powder and powdered sugar and mix well. Add milk in small quantity to the dry ingredients and mix to get a smooth paste. Then add remaining milk and mix well avoiding any lumps. Use a whisk to mix milk and milk powder mixture to avoid lumps. When the mixture is smooth add vanilla essence and thick homemade cream. 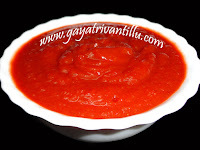 Now blend the mixture to a smooth consistency---to blend use a food processor or a hand/stick blender. Here I have used a hand/stick blender. Carefully blend the milk mixture to get a smooth texture. While blending, blend on low speed so that one has control as the cream in the milk mixture may soon turn into butter. So blend carefully to a smooth texture. Take a wide bottomed steel box and transfer the ice cream mixture into it. Cover the steel box with a tight lid and place this box in freezer to chill the ice cream mixture. Adding chilled mixture in the ice cream machine sets the ice cream fast. Generally when chilled mixture is used ice cream sets fast say in 10 to 15 minutes. However if the weather outside is too hot then it may not set easily. So after running the machine for 40 minutes I have switched it off and by then the mixture has thickened a bit. To further thicken the ice cream transfer the mixture from ice cream machine into plastic boxes and freeze. Carefully remove the paddle. Take a plastic box and transfer the prepared ice cream into the box using a ladle. Fill the box sufficiently with ice cream and cover it with a tight lid. Place the box in freezer and see that the box touches the bottom of the freezer to set fast. Transfer remaining ice cream also into boxes and freeze for 4 hours. After 4 hours remove the box from freezer and keep it at room temperature to soften a bit. Take a scoop and scoop out ice cream and place in ice cream cup. Fill the cup sufficiently with ice cream and serve immediately. Observe that the ice cream is super soft and just melts in your mouth---serve as it is or garnish the ice cream with chopped nuts or top it with fruit crush or serve it with wafer sticks or sprinkle some chocolate chips or butterscotch chips on top of the ice cream and serve---choice is unlimited!!! Add some vanilla ice cream to milk shakes or smoothies and enjoy the rich and creamy taste. Pour some hot chocolate syrup on top of chilled ice cream and enjoy the treat. While setting ice cream freeze it in a big cup. Take a hot brownie in a deep serving plate and place the big cup of ice cream on top of it. Pour some hot chocolate syrup on top of the ice cream and serve immediately. This combination would be a great hit and is definitely asked for a second serving!!! Always make some vanilla ice cream and stock in freezer to make instant and delicious drinks and desserts for unexpected guests. While removing ice cream from the ice cream maker bowl, do not use abrasive ladles---use soft rubber spatulas or plastic ladles.Remember to add the ice cream mixture when the paddle is rotating. Do not first pour the mixture and then fix the lid and start the machine---as the bowl is frozen it sets fast and becomes difficult for the paddle to rotate---so first start the machine and then only pour the ice cream mixture in it. 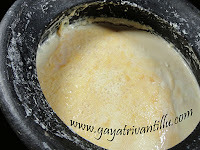 Make some vanilla ice cream and stock in freezer to make instant and delicious drinks and desserts!! !